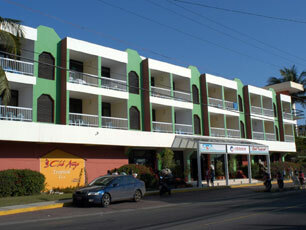 Club Tropical Hotel at bookallcuba.com, hotels in Varadero, Cuba hotels together with car rentals. Club Tropical Hotel , Varadero, Cuba. Ave 1ra e/ 21 y 22, Varadero, Matanzas, Cuba. It is located by the beach, 20 kms from "Juan Gualberto Gómez" Varadero International Airport, and two kms from downtown Varadero City. The hotel has a proven track record of offering its guests a wide selection of options, warm and friendly service, entertainment and water sports needed to make their stay a pleasant and enjoyable one. It is well known for its personalized services, Caribbean aura and the inimitable blend of the smells of the sea, the radiant sun and joie de vivre. 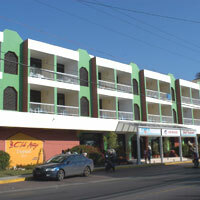 Club Tropical has 143 rooms with telephone and satellite TV. The hotel also has a buffet restaurant, snack bar, coffee shop, beachside bar, nightclub, pool for children and adults, recreation room, boutique, tourism office, water sports club, foreign exchange, taxi and car rental services. It also offers guests introductory diving lessons. STANDARD ROOM Rates in USD /Per Person/ Per Night / All Inclusive. Click the pictures to see a larger image.